Produce inertial measurement units that lead the market in performance and value. 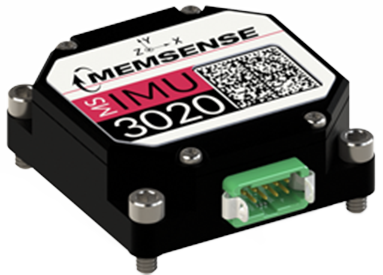 Founded in 2004, Memsense quickly built its reputation as a technological leader by engineering innovative solutions for demanding applications including the Trajectory Correction Kit for the US Army's Multiple Launch Rocket System, a high performance rate sensor system for the Apache gunship's M230 cannon, and a low drift marine navigational aid that displaced a fiber optic gyro. Memsense's customer base started with the US Army, Navy, Air Force, defense contractors, and NASA, and is now expanding rapidly in the commercial and industrial sectors. We achieve unsurpassed price to performance in our inertial measurement units through innovative algorithms and sensor compensation. "Memsense is committed to the perpetual improvement of our inertial products via adherence to our Quality Management System." Memsense's world class manufacturing and inertial test operations rely on our quality system to repeatedly produce highly reliable inertial measurement units that lead the market in performance and value. Memsense has created an array of MEMS-based inertial devices and measurement systems for a wide range of customer applications including a digital IMU for a US Army tactical rocket, an IMU antenna stabilization system, and IMUs for various other systems. Our engineers are expert at developing products uniquely suitable for applications requiring high performance and ruggedness. Memsense provides the quickest project turnaround time in the industry. Memsense has developed a comprehensive inertial testing facilities to meet our exacting standards for quality control and product performance. Our commitment to quality is central to our testing facilities and procedures. Every device manufactured by Memsense is tested over its operating temperature and dynamic input ranges before shipping to customer. Performance tests are documented and serial number traceable. Memsense test equipment includes thermal rate tables, triaxial Helmholtz coils, single shock and repetitive shock testing systems, and vibration sensitivity analysis apparatus. 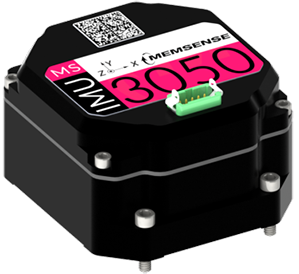 Memsense grows its business by providing unique high performance inertial measurement units and ensuring they are effective in-use. Hundreds of customer experiences have made us confident, intuitive and timely in support of our IMUs. Further, our expertise in the integration of IMU technologies into military and industrial systems is available to our customers.